Need a pickup at the same time every day? Once a week? Whatever your shipping needs, Eastern Courier Corp can help. 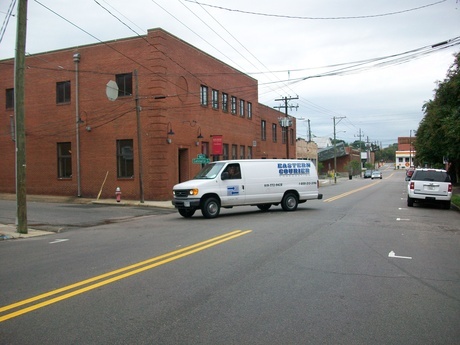 We offer reliable dedicated route delivery services in and around Garner, Raleigh and the whole Triangle area. From mail and office supplies to equipment and parts, pharmaceuticals, and more, we’ll pick up and deliver your cargo on time, every time. If you are looking for a courier service in Raleigh, NC give us a call! Our courteous drivers have years of experience and have been thoroughly trained and background checked. We have a variety of company-owned vehicles to carry your shipments, whether you just need a van or pickup truck, or require the capacity of a straight truck. Straight Trucks are available for hauling freight such as wood, plastic, metal, bulk mail, and many other products. These trucks have lift gates and can haul up to 14 pallets and 9,000 pounds. Cargo Vans are available for hauling one or two pallets or several packages. Vans can haul up to 3,200 pounds. Pickup trucks are available for hauling small packages, mail, and documents. Trucks can haul up to 1,500 pounds. We provide excellent rates for any dedicated route, whether you need us to carry supplies across town or deliver products across the state. 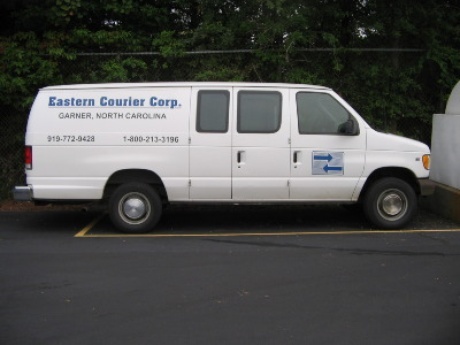 At Eastern Courier Corp, we’re committed to providing superior services and complete customer satisfaction. Give us a call to discuss your dedicated route needs, and we’ll give you a competitively priced quote for your request. We are the number one choice for courier service in Raleigh, NC and the entire Triangle area.